Let’s say you’re a UK expat working in Asia seeking some financial advice, and at a dinner you’re introduced to Mr. X – whose business card reads ‘Financial Advisor’. How should you judge Mr. X? 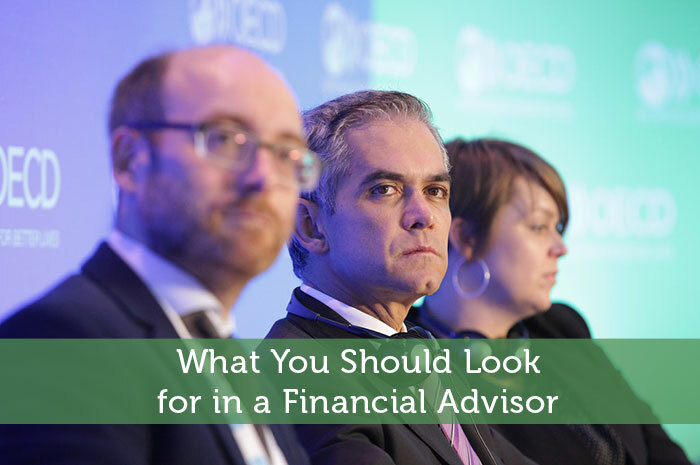 What should you be looking for in a Financial Advisor? Down-to-earth common-sense and conservatism: personal financial advisors are not hedge fund managers, commodities traders or buyout dealmakers – the objective is not to make once-in-a-lifetime deals, but to protect and grow the finances of clients according to their needs. In fact, achieving that has more to do with adequate financial planning, proper diversification and minimizing expenses and taxes than it does with superstar returns. If Mr. X is offering you can’t-miss deals, steer clear. Thoughtfulness and Expertise: although we’ve mentioned above that the core principles of financial planning are quite simple, and that superstar returns are less important than a balanced portfolio, that doesn’t mean that it is painting-by-numbers that can be done by anybody – following the crowd and parroting conventional wisdom is tempting and can be a big mistake. If you’re paying good money for advice, you want someone who genuinely thinks for themselves. Good ‘fit’ in their relationship with you: for some services, it can make sense to hire someone you’re not particularly in tune with, just because they are very good at the job. But financial advisory is a long-term relationship that involves serious discussion about sensitive issues, in some ways like a therapist, or maybe a business partner, and so it is important to have someone with whom you have a good relationship. Importantly, avoid anything that seems strange or fishy. When it comes to spotting a bad financial advisor here are some tips. A bad financial advisor will offer solutions before having a comprehensive view of your situation. He will aim to sell you a product or solution to solve all your problems instead of advising you on the best course of action. He won’t present you with options. He won’t explain his recommendations nor will he try to understand you reasoning. He doesn’t keep track of your records. He may promise you oversized returns with no risk. If you notice any of the tell-tale signs from an advisor or potential financial advisor, alarm bells should be ringing so steer well clear. In conclusion, an experienced and competent independent financial advisor can add values in many ways but choosing the right one is hugely important. Much of choosing a financial advisor comes down to common sense – on whether you have a good impression of their qualifications, and it is worth it doing a quick check to make sure they are OK in terms of their license. I think it is good to ask for recommendations from friends and family – you may know someone that has a great financial advisor. It is important to do your research and ask a lot of questions, to ensure you find the one that is the right fit for you. Great tips, thanks for sharing!